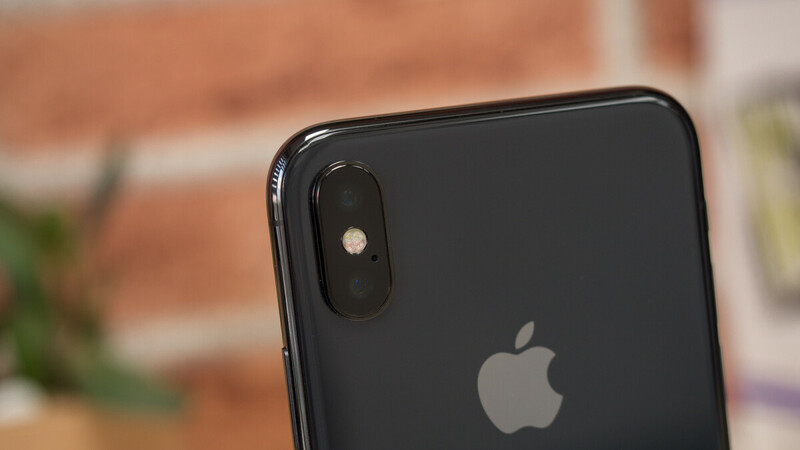 Since 2016, Apple has utilized modems from both Qualcomm and Intel for its iPhones – the former supplied those required for CDMA devices while the latter covered GSM model orders. In light of the technological advancements that Intel has made recently, however, Qualcomm is no longer expecting any modem orders from Apple. While no specific mention of Intel or its recent advancements were made, the company’s financial chief, George Davis, did state that Apple is expected to “solely use” modems from the brand’s competitor in the next iPhone lineup, thus denying previous reports that claimed Qualcomm would supply up to 30% of the required modems and confirming that Apple has ditched the company entirely. At this point in time, there's no official word on why this decision has been made, but’s Intel’s new XMM7560 chip is understood to have played a major role. After all, unlike other offerings, Intel’s modem offers support for both CDMA and GSM networks. Additionally, Apple’s ongoing legal battle with Qualcomm regarding iPhone royalties may have also played a part in the decision. In a bid to ensure its investors, Qualcomm did reveal that it would continue providing modems for older iPhone models which continue to be sold. However, when asked about the possibility of supplying Apple with modems for future iPhone models, the company wasn’t as sure due to the fact that the industry is “very dynamic,” although if the opportunity came up it would be open to doing so. With Apple’s 2018 iPhone X and X Plus set for release in September followed by the LCD model’s launch in October, Qualcomm’s financial results in the quarter ending December could take a significant hit in comparison to other years due to a lack of revenue. This is bad news - intel modems are worse and are carrier bound. Good news for Apple - because it's cheaper. yeah, all comes down to cost. If Steve jobs alive it won’t happe what so ever intel try. The message is Qualcomm's in for a bumpy ride by losing this customer. That, plus the Chinese killed the NXP which will costs them $2 billion in fees, and no obvious route into IOT, car Autonomy, etc. They also have to deal with a few legal battles in several countries and anti-competitive patent licensing in the US and others. LOL, that certainly explain the advertising pushed on Qualcomm's part the past two weeks, followed by Samsung's ads about download speeds on the iPhone. I had a feeling something like this may have been at play, because the timing was too coincidental. This is what happens when you think Apple can’t run with out you. Apple stopped buying from Qualcomm because they purchase them when the stock drops and they need a way out. Agreed that Intel Chips are slightly (dont even care in the real world till another 2 years) slower than Qualcomm chips in terms of download speeds. But this is a great move by Apple to keep only one modem in all their devices. For those unaware: - Intels new processors are much much advanced than the previous gen(s) thanks to the new 10nm foundry. - They support CDMA which most countries in the world really dont care about. - They might be slightly better than SD 845 which is Qualcomm’s latest and greatest. Although this will change in a few months. - Qualcomm is a company that has been getting away with a lot of s**t not only with Apple but also with several android makers including Samsung. They are charging a lot and extra for FRAND patents. So yes. Good for Apple, Sad for Qualcomm. - Intels new processors got nothing to do with this, since they only supply modem, not processors. Btw, Intel still stuck at 14nm, or 14nm+++ as they call it. (they delay 10nm till next year, try google it) - "which most countries in the world really dont care about" -- this, exactly. - Slightly better? Not even close, they're years behind Qualcommhttps://bgr.com/2017/11/14/iphone-x-vs-galaxy-note-8-lte-speed-test-its-not-even-close/ - No comment about that. Good for Apple, Sad for it's customers. Oh boy. The 10nm was an honest typo mistake. Everything else I said still stands. - The 14 nm that will be used by its current modems are significantly advanced than their predecessors. (The current intel ones are uding TSMC 28nm) - I stand by by statement that “most” countries in the world do not use CDMA. Even in the US, CDMA “might” disappear in the next couple of years along with other older tech just like 2G. - As a lover of tech, I happen to use both the latest tech from Apple and Samsung. Ran these so called speed tests in my home with LTE and the difference was not massive. Already replied abt 10nm type that I made. - The X24 might not be in the Note series this year going by the trend of previous years so it will only come out NEXT year. - Apples A series chips are Slightly better than the competition. So if the modems are slightly behind, its okay for the common folk. Why are we talking about embarrassing Samsung ads or making them look wrong. My post was trying to tell that Qualcomm was robbing all its customers because of the huge CDMA monopoly. This post isn’t Samsung vs Apple, its about Qualcomm getting what it deserved. I hope Samsung drops its partnership with them as well. That way they can release Exynos to all other manufacturers. I read somewhere that Qualcomm is the reason Samsung is unable to sell their chips to anyone else. I could be wrong but it makes sense. The "only" reason Appel is using Intel is because the modems are cheaper. Because they don't want to pay Qualcomm for better stuff because it interferes with their profits and greed. And because they are now refusing to pay Qualcomm, if the courts decide Apple is in the wrong and end up having to pay on a per device basis, Apple's newer phones don't have to be on that list of ones they have to pay for. I don't usually cheer Apple. But in this case I will. Good move! "After all, unlike other offerings, Intel’s modem offers support for both CDMA and GSM networks. " What? Samsung uses Qualcomm in the US only because the modems offer better support for CDMA. Not because they are the only ones. Qualcomm modems do support GSM and CDMA as Apple uses them too and they are activated on all major and non-major carriers in the US. Samsung phones work on both as well. Samsung's own Exynos and its modem also do support both, but have been better optimized for GSM because that is where the vast major of their phones are sold. But the S6 show they support CDMA as well, though with a caveat. The modem works harder causing excessive battery drain. Intel isn't even a major competitor. Apple is only using them to try to beat Qualcomm and get them to lower pricing which I hope QC doesn't do.